Those who tuned in to the recent 60 Minutes investigative report on the opioid crisis no longer need to wonder what fueled America’s widespread ongoing drug epidemic. For many, it was shocking to learn that in April 2016, at the height of the deadliest drug epidemic in U.S. history, three major drug distribution corporations and the pharmaceutical industry successfully lobbied certain members of Congress to pass legislation that would maximize pharmaceutical profits at the expense of people’s lives. Under the guise of making pain medications available for those needing acute pain relief, the law allowed shipments of millions of opioids to continue unabated to shady pill mill operations, while unsuspecting or unscrupulous doctors handed out prescriptions like candy. The industry-friendly legislation effectively made it relatively impossible for the Drug Enforcement Administration (DEA) to suspend a drug company’s operations when they failed to comply with federal law. The law weakened the DEA’s ability to freeze opioid sales to suspected pill mills, and allowed the pharmaceutical and drug distribution corporations to continue to deliver suspicious orders. Essentially the legislation sanctioned the pharmaceutical industry to unleash millions of highly addictive pharmaceutical grade prescription narcotics onto America’s streets. To make matters worse, dozens of qualified DEA agents, as well as Justice Department officials with intimate knowledge of DEA processes, are now employed by the pharmaceutical industry. If a war on prescription painkillers actually exists, the drug industry is winning by raking in billions of dollars in profits. Clearly, the American people are the losers. Although the current administration has yet to declare the opioid addiction crises a public health emergency, opioids have now claimed more than 200,000 American lives, and that shocking number continues to climb. Per the Centers for Disease Control and Prevention (CDC), 100 Americans tragically overdose every single day, either from prescription abuse or from the street heroin desperate people seek to feed the addiction resulting from legally or illicitly obtained prescription painkillers. Drug overdose is now the leading cause of accidental death, with over 52,000 lethal drug overdoses in 2015 alone. Nearly 92 million people, or 38% of the population used a legitimately prescribed opioid in 2015. In many cases, unused medication winds up in the hands of family members or friends. Surveys show that nearly 60% of opioid misuse involved taking opioids without a prescription. Many blame Big Pharma for sowing the seeds of addiction by downplaying the addictive nature of the drugs in a way that was later shown to be false and misleading. Aggressive marketing to physicians along with lucrative awards for prescribing the controlled substances helped to make opioids widely available. Per the National Institutes of Health, opioid tolerance, dependence and addiction are all manifestations of brain changes resulting from chronic abuse. When opioids travel through the bloodstream to the brain, the chemicals attach to specialized proteins or opioid receptors of opioid sensitive brain neurons, triggering the brain’s pleasure reward systems. While opioids are prescribed therapeutically to relieve pain, in the absence of pain they motivate repeated use of the drug simply for pleasure. Compulsion builds over time and leads to brain cravings, driving abusers to seek out more drugs despite numerable obstacles. Repeated exposure to escalating dosages alters the brain so that it functions normally only when drugs are present. As tolerance builds and higher doses are needed to produce the same pleasurable feeling, drug dependence susceptible to withdrawal symptoms and overdoses ensues. While these highly addictive pain medications should be available for those who need short term relief, those with long term needs for chronic pain relief may consider safer alternatives to prescription pain medications. Boswellia-Turmeric Complex by Douglas Laboratories®: This synergistic blend of three standardized botanical extracts work to support the body’s natural physiological responses, protect the body’s connective tissues, provide oxidative damage protection, and strengthen the body’s natural anti-inflammatory response. Soy free, vegetarian formulation. Curcumin 500 with Bioperine® by Pure Encapsulations®: This highly bioavailable complex supports the body’s natural inflammatory response, promotes natural detoxification, and helps maintain healthy liver, colon, musculoskeletal, and cellular functions. Gluten and soy free, Non-GMO vegetarian formulation. 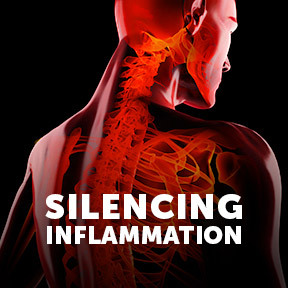 Advanced Inflammation Support by Complementary Prescriptions: This comprehensive botanical formulation includes multi-modal ingredients and adaptogens to aid maintenance of a balanced inflammatory response. Ultra Omega 900™ by Neurobiologix: This highly concentrated, ultra-pure formula provides enteric coated essential fatty acids sourced from arctic Alaskan waters. Molecularly distilled, independently tested for toxins and stabilized with vitamin E, Ultra Omega supports brain, joint eye, cardiovascular, gastrointestinal and overall health. 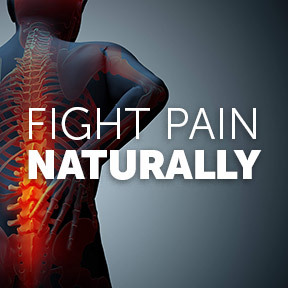 Recommended amounts of EPA and DHA have been shown to benefit joint inflammation, and nervous system function, as well as pain relief. Wheat, gluten, yeast, dairy, preservative and artificial ingredient free. RevitalAge™ Nerve by Pure Encapsulations®: This scientifically researched complex provides support for peripheral neuronal function and comfort. Targeted ingredients support mitochondrial function, cellular energy production, and antioxidant protection. Gluten free, Non-GMO vegetarian formulation. SAMe 400 mg by Source Naturals®: These stable, bioavailable enteric coated tablets support joint comfort, function and mobility in the spine, hips, and knees. Present in every living cell, SAMe plays a role in many critical functions and helps to support a positive outlook. Gluten, yeast, dairy, egg, gluten, soy, wheat, preservatives, and artificial ingredient free. Phyto UltraComfort by Pure Encapsulations®: This product supplies traditional botanicals known to reduce occasional minor pain and helps to maintain a healthy inflammatory response by supporting healthy enzyme and immune mediator activities. Gluten and soy free, Non-GMO vegetarian formulation.